This is a pretty beaded necklace! 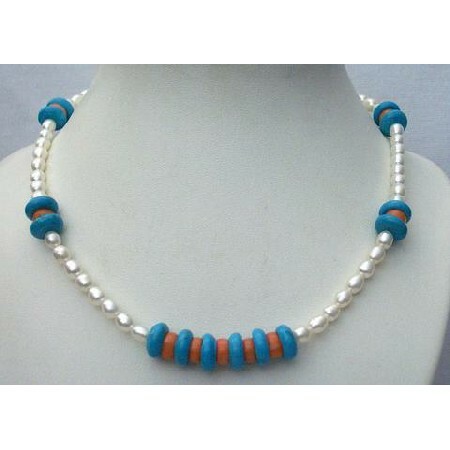 This piece features Freshwater Pearl Turquoise & Coral Ring with Sterling Silver Clasp Handmade Necklace.Turquoise symbolizes beauty Coral is said to protect children White Freshwater Pearl is the symbol of Pure. Necklace is not Polish it is 100. Genuine.